The Knowledge Transfer Network (KTN), jointly with SCI’s Agrisciences Group are organising an event Turning Data into Decisions in AgriFood - on 22nd November 2017, at the SCI Headquarters in London - to focus on key needs of the Agri-Food sector in using data, discuss the existing barriers, and present a number of potential solutions and joint initiatives. Participants are encouraged to contact Liliya Serazetdinova (liliya.serazetdinova@ktn-uk.org) by 13th October 2017 to suggest discussion topics. Abstract submission is open for a limited number of posters, and there are exhibition and sponsorship opportunities. You can find out more about the Turning Data into Decisions in AgriFood event on 22nd November in London on the SCI website by clicking here. If you have a specific enquiry about using data in Agri-Food, please contact KTN’s Dr Liliya Serazetdinova who will be happy to discuss opportunities for innovation in this area. the way we produce, process and manufacture the food of the future. With recent advances in the technologies used to collect data across the food supply chain, there is an urgent need to harness the power of this information in order to benefit from the new insights, practices and products. With recent advances in the technologies used to collect data across the food supply chain, there is an urgent need to harness the power of this information in order to benefit from the new insights, practices and products. For example, sensors and other connected devices can be deployed to collect data, but challenges can arise when there are issues with data exchange and interoperability between different data sets. Financial and digital economy sectors are showing growing interest in Agri-Food opportunities, with a number of new exciting services and products coming on the market, including insurance and hedging products for risk management, and data analytics services. 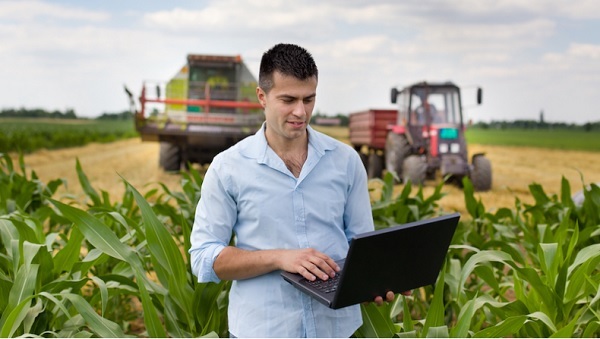 Software applications with machine learning could play an important role in collecting, analysing, and integrating data – with the potential to deliver connected information as part of the Internet of Things (IoT) and guide more accurate decision making within the Agri-Food supply chain. The afternoon session will feature discussion groups aiming to help build connections between the stakeholders, forecast next big developments, and identify ways to reduce barriers for using Big Data in Agri-Food supply chains. Discussion themes will touch on specific opportunities in livestock, arable and horticultural sectors, connectivity across the whole supply chain and retail, and Agriculture 4.0.